Bells Corners is a suburban community in the West end of Ottawa. It is located near the intersection of Robertson Road and Moodie Drive. The community was named after Hugh Bell, who owned a local Tavern from 1834-1863. Most of the properties located here are in a neighbourhood known as Lynwood Village, which came about in the early fifties to late 60’s. To the west of Lynwood Village you will find Westcliffe Estates, founded in 1969. It is now a growing community of more than 1600 homes. This community is known for its highly residential densities, higher than any other location in Bells Corners. It is in Westcliffe Estates where you will discover a multi-storey senior’s home, a co-op housing project, and a multi-storey housing complex that is operated by Nepean Housing.  The Westcliffe Estates Community Association, located in Westcliffe Park, offers a variety of community groups and service programs. It is available for individual, non-profit and profit making groups for a reasonable fee. 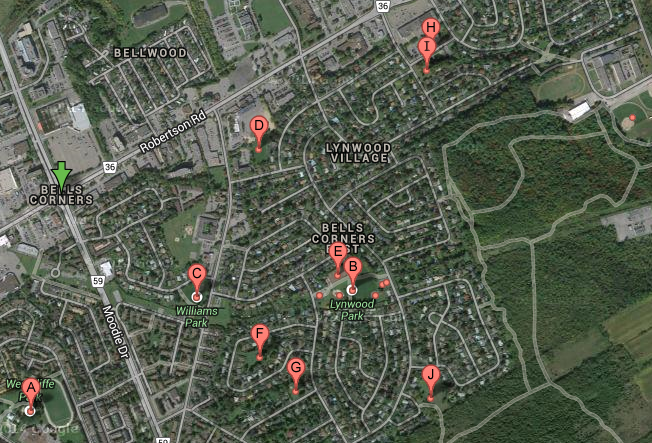 Bells Corners also contains Bellwood Mobile Home Park, which consists of 250 mobile homes. It was established in 1959. If you are the athletic type, why not try out the Lynwood Park Tennis Club or the Valleystream Tennis Club – conveniently located nearby on Richmond Road. Bells Corners has a bustling commercial strip, which is home to gas stations, fast food restaurants and retail stores. Here you will find a variety of different shops and services to meet your everyday needs. Robertson Road has quickly become a major thoroughfare as a direct result of the residential development in nearby Kanata. To the North of Robertson Road it is mostly commercial and industrial businesses. There are also residential properties to the South. A great getaway community, this southern suburb has plenty of schools, parks and recreation areas in a safe and family friendly atmosphere. Bells Corners is a quick commute to the city or to Kanata’s high tech core, and has easy access to the 417. OC Transpo routes 88, 97, 152, 252, 256 and 665 all run through the neighbourhood.